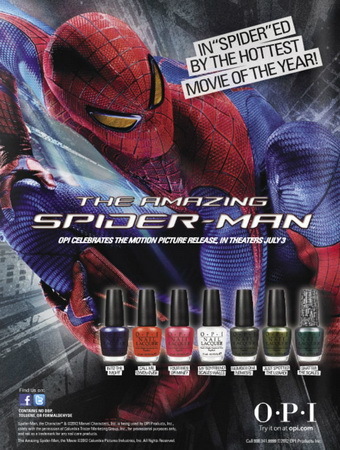 Meet Me on the Bright Side: OPI's Amazing Spider-Man Collection, Your Web or Mine? OPI's Amazing Spider-Man Collection, Your Web or Mine? This July we can expect the newest Spider-Man movie to hit theatres, yay! I am personally a big fan of the one's staring Tobey Maguire and Kirsten Dunst, but this time they changed up the cast a bit and went in a different direction. From the trailer, it looks like it'll still be a good movie. In honor of this summer blockbuster, OPI has created a celebratory collection of seven new gorgeous shades. The first of the collection that I picked up is Your Web or Mine?. 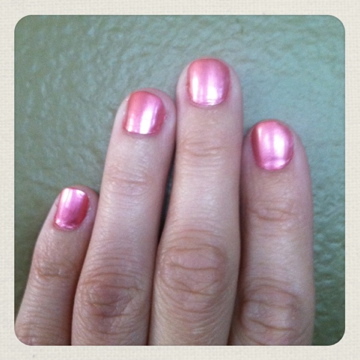 This is a shimmery, almost metallic, pink shade. It is so pretty! 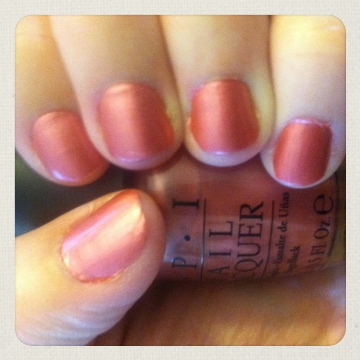 It's very different from the many shades of OPI pinks that I have because of the metallic look. It looks different in every angle of light. I will be wearing this plenty! So glad I chose it! Can't wait to see the movie! How about you? Want to see the movie? that's a really pretty colour!! Your web or mine :) Too cute! Great color!